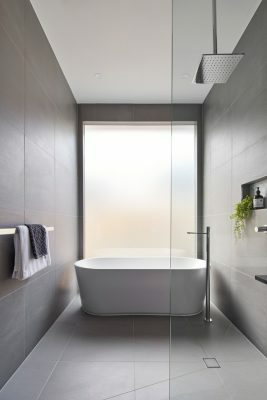 The dynamic of new and old, and diversity on a functional level as well as a visual level alludes to a home with a perceived split personality; made tranquil with the right balance of yin and yang. 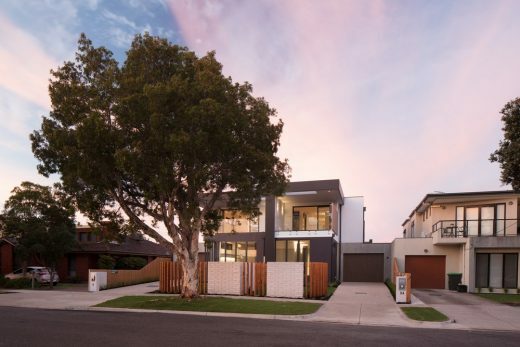 The main challenge set by the owner was to transform the dilapidated-yet-characterful art deco house and create a modern family home with a ‘wow factor’, large enough to have three bedrooms and two living rooms with additional storage. 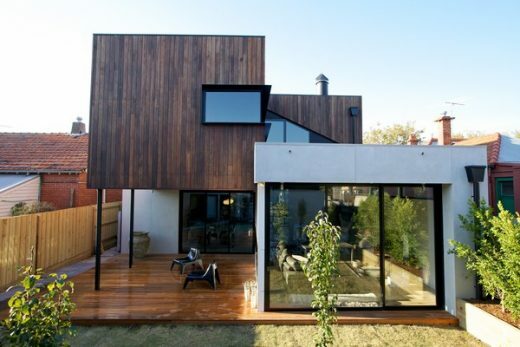 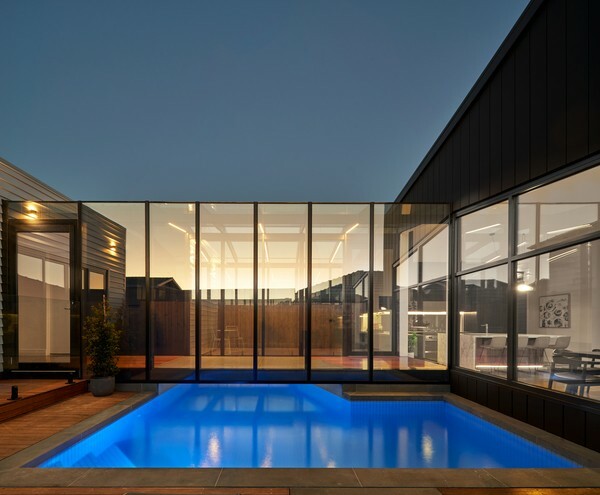 Capturing light in a south-facing block in Melbourne also elicited its own challenges. 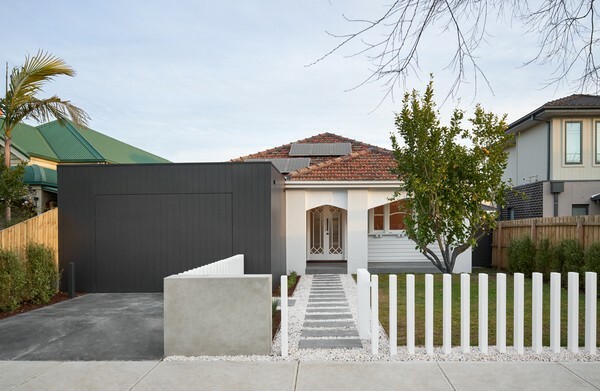 The existing 165sqm art deco home is a Northcote original from the 1930’s, situated at the front of a 557sqm block. 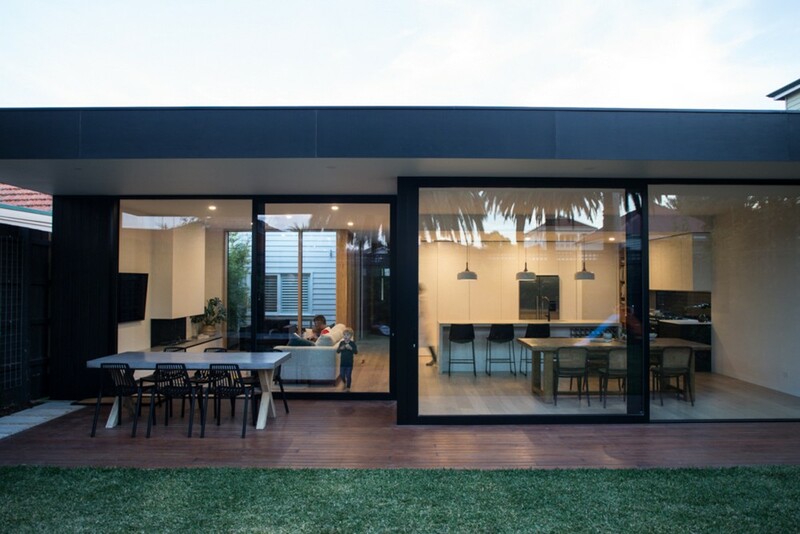 The 110sqm extension utilised the generous space in the backyard and was brought right to the end of the site, transforming the traditional backyard into a modern one with multiple breakaway courtyards situated in different parts around the extension. Blending the old with the new meant reviving the front of the house and incorporating a modern back. 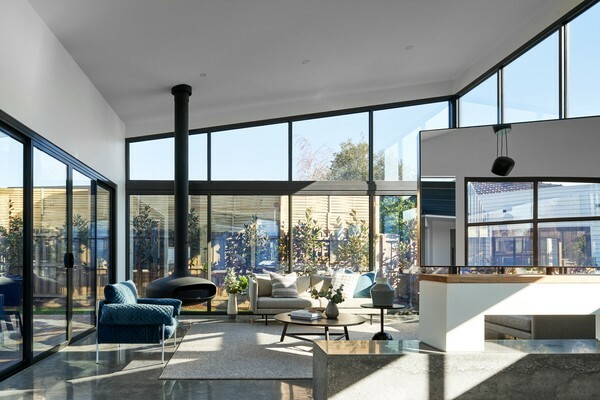 The quiet, private areas of the home are located at the front, where C.Kairouz Architects restored the beautiful existing Tasmanian oak timber flooring and revived the original ceiling rosettes with a modern, clean white. The floorplan naturally encourages people to move through the space into the louder heart of the home; the open living and entertaining area at the back. Materials selections change from warm & luxurious to bold & sleek with a slight industrial undertone, with inspirations drawn from the immediate context of Northcote. 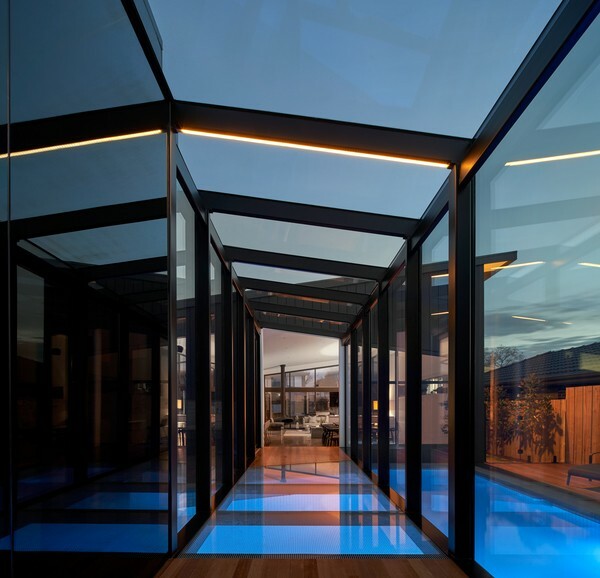 It was decided that the perfect vessel for the journey between the old and the new would be a walkbridge, creating an impactful transition between the spaces. 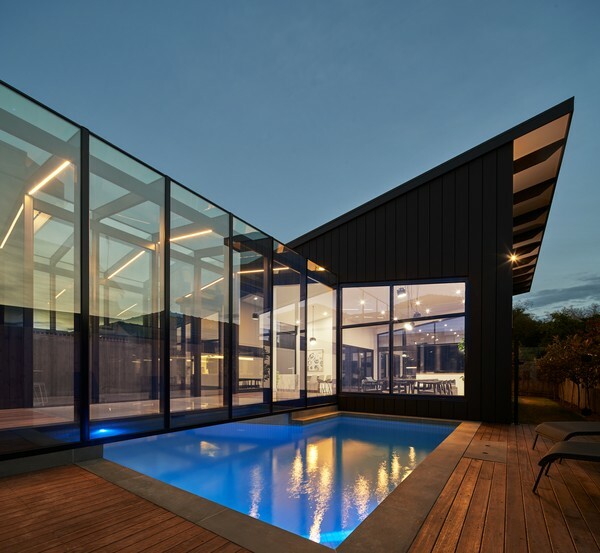 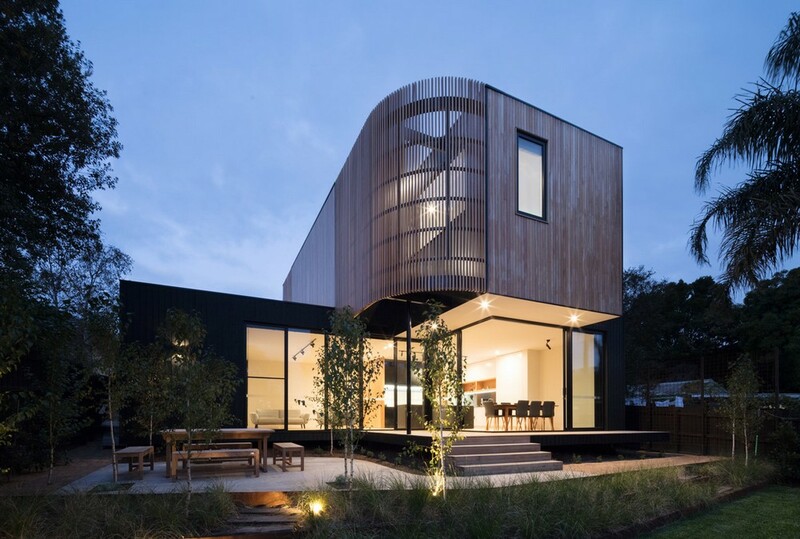 Made solely of steel and glass, it was strategically built to capture as much sun as possible on the south-facing block, acting as the catalyst into the new part of the home. The end of the walkbridge is met with a large open entertainment area where form breaks down into a single open space. With an angled ceiling, the room is surrounded in windows that accentuate the height and allow the northern sun to penetrate. The feature concrete floor captures the eye with its industrial vibe and facilitates a passive heating and cooling system; it warms up under direct sunlight during the day, only to slowly emit the heat in the colder Melbourne evenings. 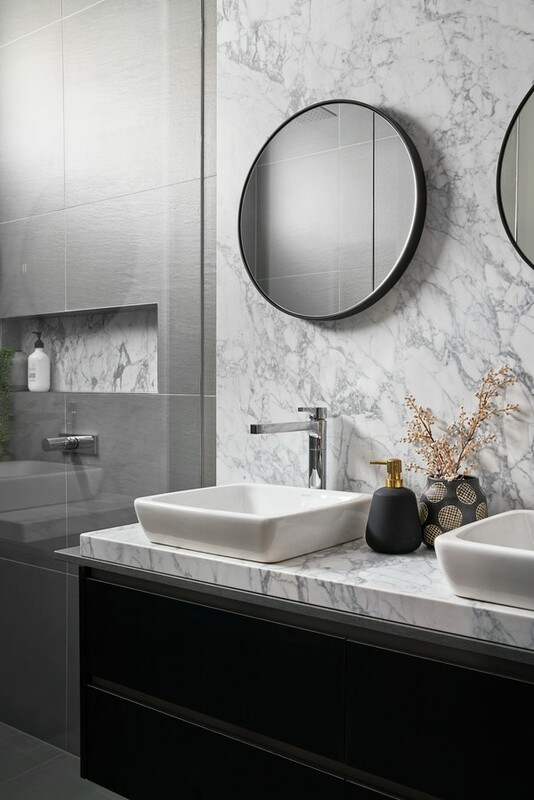 In one corner is a statement black kitchen, clad in metal-look cabinetry and topped with calacatta oro marble and bluestone benchtops. 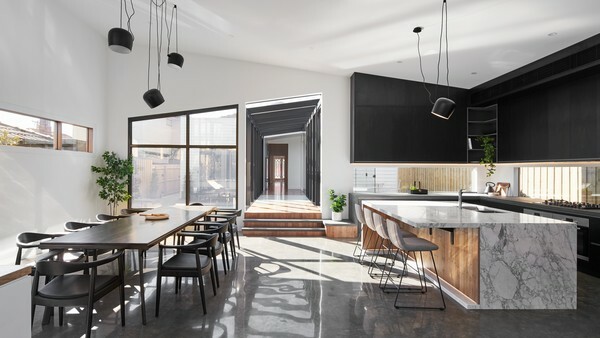 The oversize kitchen island features a cantilevered benchtop for additional width encouraging its practical use as a sit-down bar, buffet server or conversation space. 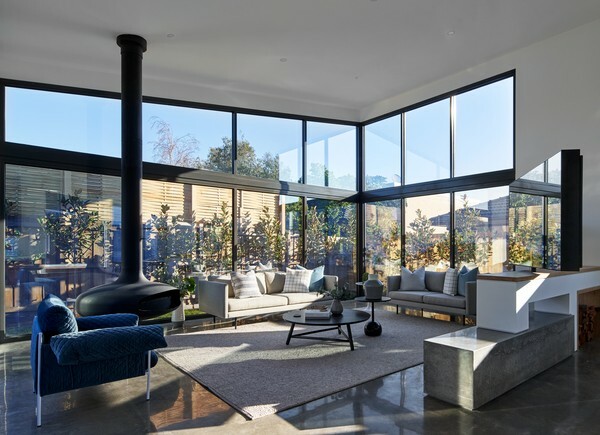 The rear of the room is separated by a concrete block, topped with a bespoke television unit with full 360 degree rotation, meaning that the television becomes highly convenient and practical as it can be viewed from any area of the room. 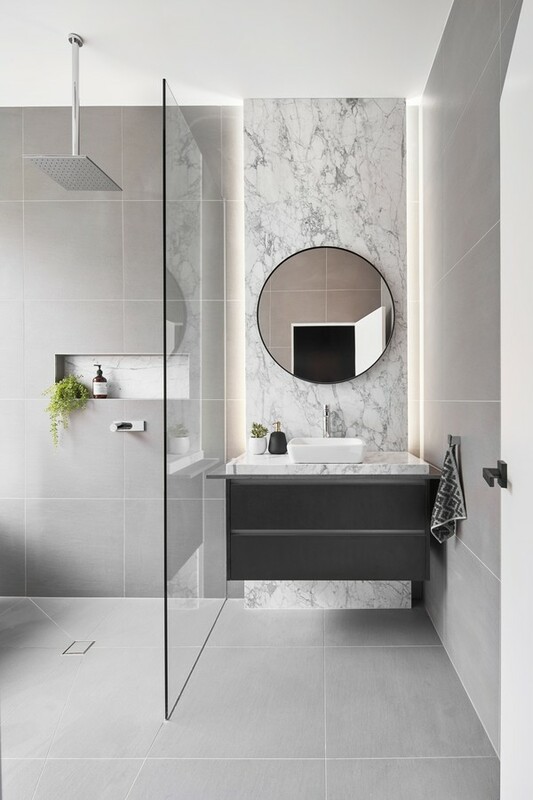 On the back of the unit is a mirror, further emphasising the juxtaposing theme of the house, capturing different reflections of the living space depending on its orientation, and the orientation of the viewer.